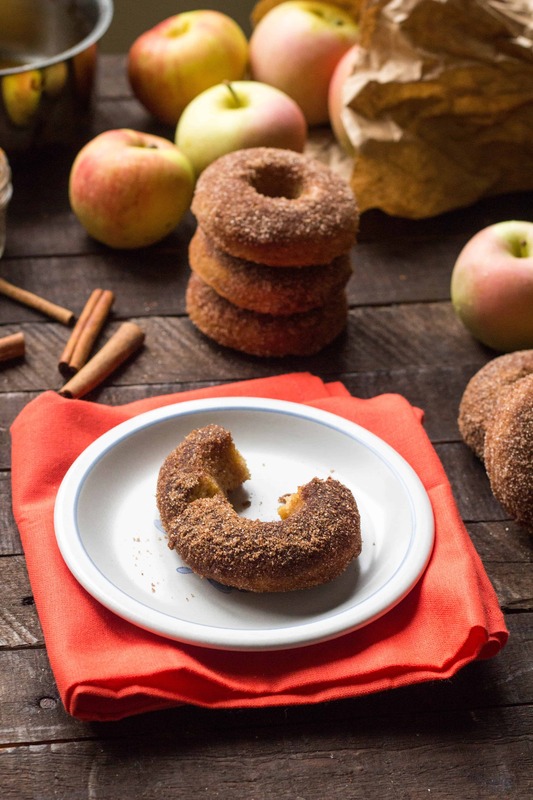 This recipe for Apple Cider Baked Doughnuts is healthier than the traditional recipe because they’re baked instead of fried. They’re easier, too! But just as delicious. Over the summers when I was in highschool, I worked at a little place called Ove’s on the Ocean City boardwalk. I was a dinner waitress at the restaurant, but they also had a little walk up snack bar, and in the morning they sold fresh homemade apple cider doughnuts. They were famous for them, and well, they still are. Whenever the doughnuts didn’t sell out for the day (which was rare), the other waitresses (aka my entire posse of friends from school) and I would line up to sneak them from the case. They were dense and cakey, but not overly so, and covered with cinnamon sugar for a slightly crunchy texture. Like all doughnuts, these were best the minute they came out of the fryer. We usually only got to eat them after they’d been sitting around for a few hours, but even then they were still absolutely to die for. The best was when we’d put them into bowls and then hit them with the soft serve machine to make doughnuts sundaes. Oh, to be sixteen again. These doughnuts… are not those doughnuts. They come pretty close, however. The biggest difference is that they aren’t fried, but they’re still sweet and apple scented and bring back all the same memories. I had been interested in purchasing a doughnut pan for some time, but never pulled the trigger because it felt a little silly. But after seeing so many drool-worthy baked doughnut recipes floating around, I finally made it happen. 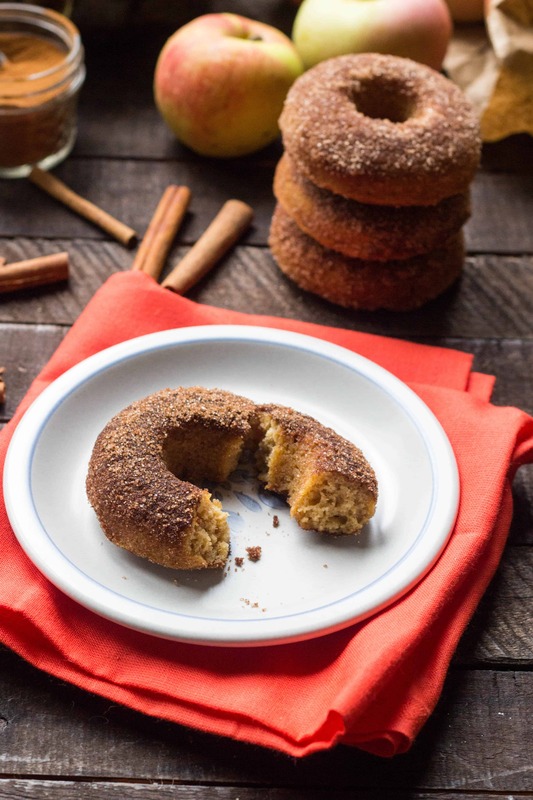 This is the first of what I anticipate to be many, many more baked doughnut recipes to be made in my kitchen. 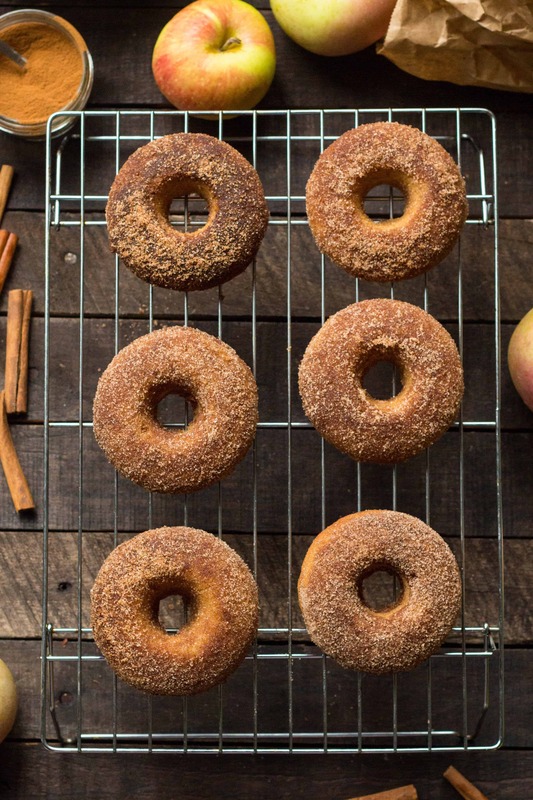 If you don’t have a doughnut pan, you need to get one. That’s actually not true. 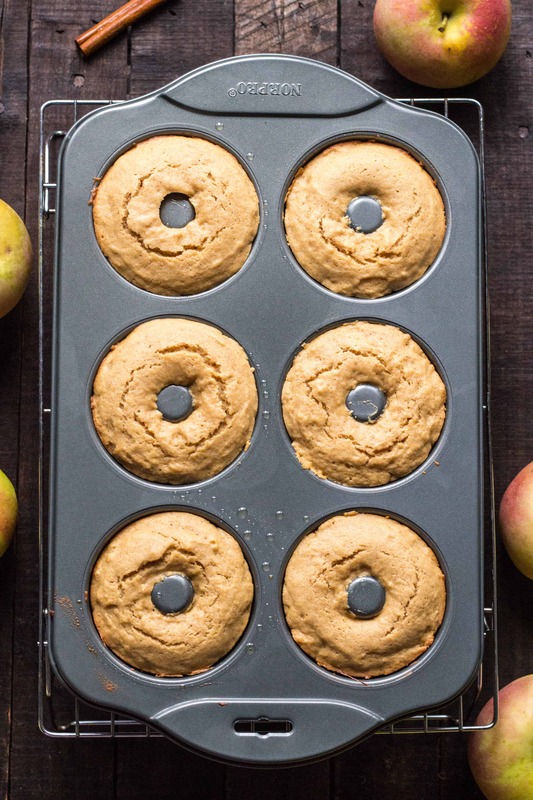 These would totally bake up just fine in a muffin tin, you’d just sacrifice that awesome doughnut shape. And let’s be real, the shape is everything. 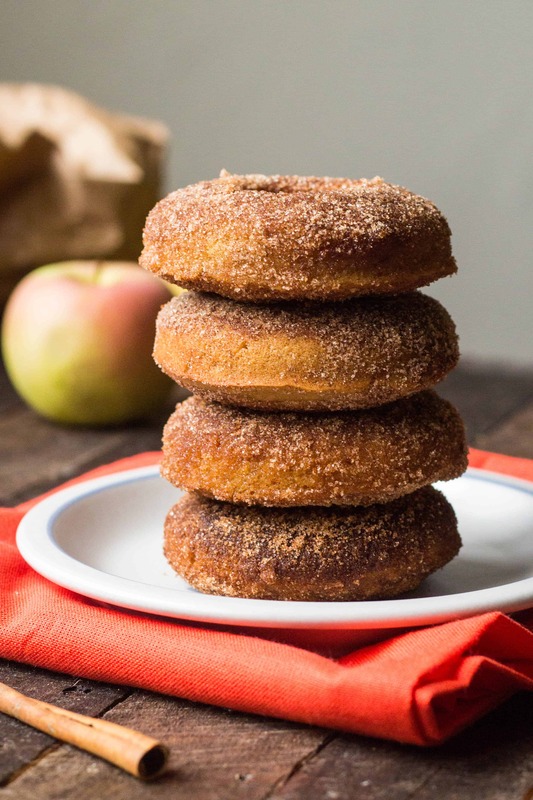 I first made these doughnuts with half white flour and half white whole wheat flour, and while they weren’t bad, I definitely wouldn’t recommend it. 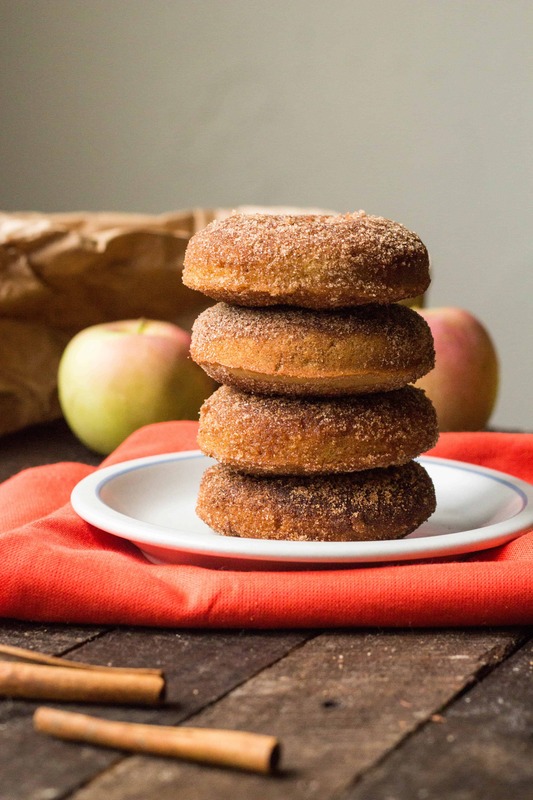 The notion of making these even a little bit healthier is certainly noble but completely defeats the purpose of eating a doughnut, even if it’s a baked doughnut. The amount of “healthy” flavor that the whole wheat flour imparted into these was not worth the tiny amount of fiber it was adding to them. I see it this way: forgoing the frying is really more for the sake of ease rather than for health reasons. 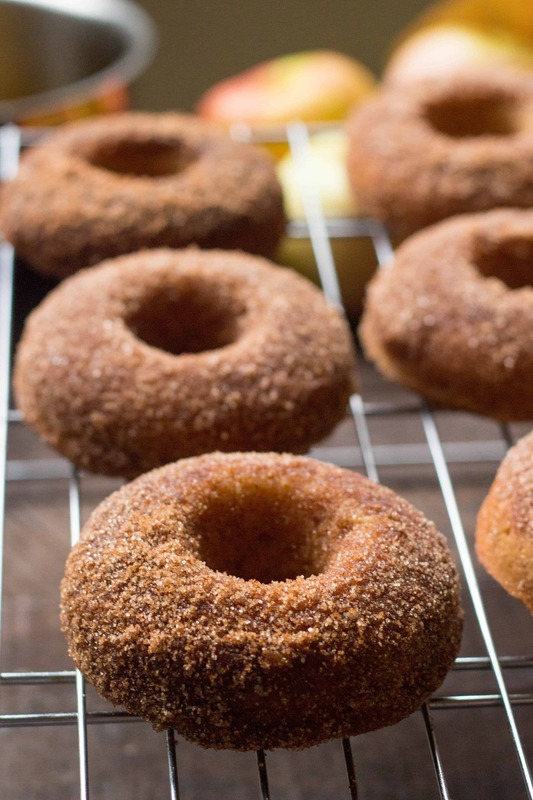 It’s a whole lot easier to bake a doughnut (and to clean up the mess), so in the spirit of indulgence, let’s dip them in butter and give them a nice, sandy coating of cinnamon sugar. Some people recommend boiling the apple cider down until it’s reduced by half in order to have a more concentrated apple flavor. You can do that, I’m sure it’s nice. But I don’t have time for all that when it’s morning, I’m hungry, and nothing but doughnuts will do. Thank God for this doughnut pan. I can’t believe I waited so long to make such an important addition to my kitchen. It may be a “unitasker,” but one I will happily use for one thing and one thing only. I need to have more doughnuts in my life, and so do you. This is only the beginning. In a medium bowl, whisk together the flour, baking powder, salt and cinnamon. Combine the melted butter with the apple cider and sugar, then add to the dry ingredients along with the egg and whisk until just combined. Be careful not to over-mix or it will cause the doughnuts to become tough. 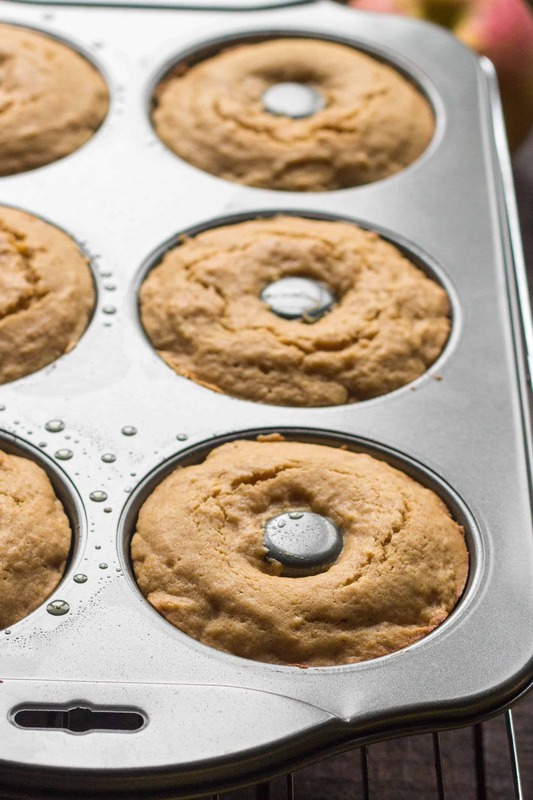 Spray a 6-doughnut pan with cooking spray, then carefully spoon the batter into the pan. Bake for 7-10 minutes, or until the a toothpick inserted into the center of a doughnuts comes out clean. Allow to cool for a minute or two before turning out of the pan. Pour the remaining melted butter into a shallow bowl, then combine the sugar and cinnamon in another. While the doughnuts are still warm, carefully dip them in the butter on both sides, then roll in the cinnamon sugar until coated. These doughnuts are best served when they're still warm. These look yummy, love baked doughnuts. Kudos on the addition of apple cider. Hey Nick, think I could double the recipe and make a cake from this? I don’t see why not. You’d just have to adjust the baking time. Going to try these this week. Could we reduce the cider ahead of time and return to the refrigerator for next day use? yes! they will definitely have a more pronounced apple cider flavor that way. go for it!